Aviation is STEM. It’s the ultimate way to get kids and teens engaged in science, technology, engineering, and mathematics (and so much more). These amazing programs provide students with the most advanced and interactive learning experiences available and will never have to answer, “when will I need to know this in real life”. Through dedicated educators and passionate aviators, these programs form a solid foundation for our future leaders in STEM career paths. 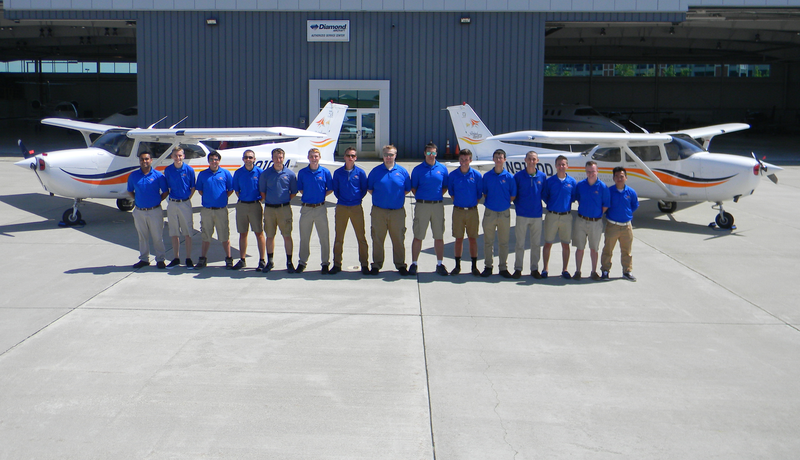 Here are four youth aviation programs that knock it out of the park. 1. Raisbeck Aviation High School – embracing project-based learning, the students are taught every subject through the lens of aviation and aerospace. Supported by the region’s aerospace community, a strong partnership with the Museum of Flight, and a state of the art facility, these students are prepared for success in college and career. Based on state proficiency test results, graduation rates, and college-readiness performance, RAHS ranks number 4 in the 2017 U.S. News list of best high schools in Washington. Students attending this unique high school are offered methods to simultaneously receive college credit for those interesting in pursuing a career as a professional pilot or in the fields of unmanned aircraft systems, air traffic control, and airport or airline management. Check out their story! 2. Aspen Aerospace Alliance – a K-12 Aeronautics program serving up the ultimate STEM education experience. Through the innovative AERO EDUC8R Network, their aim to expose students to meaningful aeronautical opportunities goes beyond the Aspen school district with a distance learning program that can be integrated into any school district around the country wanting to teach STEM through aviation. Students have the opportunity to earn college credit, as well as graduate with private, instrument, commercial, and multiengine pilot ratings. A yearly highlight for the Aspen Aerospace Alliance is the 48-hour ‘Round the World Challenge’ where middle school and high school students are divided into two teams. After some intense flight planning, the teams fly around the world on Redbird Jay Velocity simulators in real time. Not only are the students’ flying and aeronautical decision making skills impressive, but their stamina for the 4 am flight shift and their ability to calculate fuel burn and maintain airspeed and altitude with no sleep. Watch them in action here. 3. Lakeland Aero Club – a high school flying club serving the area county, this program provides hands-on experience in aircraft restoration, maintenance, and flight training. The club, with more than 80 members, is currently working on four aircraft projects – the restoration of two 1939 Taylorcrafts and a Schweizer glider and the completion of a Sonex homebuilt airplane kit. With all the knowledge gained working on these projects, club members are also seen assisting on routine maintenance and annual inspections of local based aircraft. Each club member is also working towards a pilot certificate. The younger members are offered the opportunity to seek flight training in a glider, to allow them the chance to solo sooner than what is allowed in an airplane (age 14 versus 16). 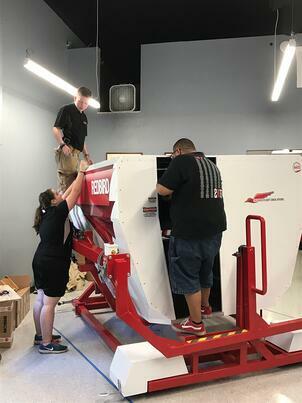 Lakeland Aero Club members take every opportunity as a lesson to learn and that even included the installation of their Redbird FMX simulator.